and then we've met this lady! she's one of the exhibitor from Australia, it was very nice to have met her and having her as our customer, she came almost every day to our booth, and look! 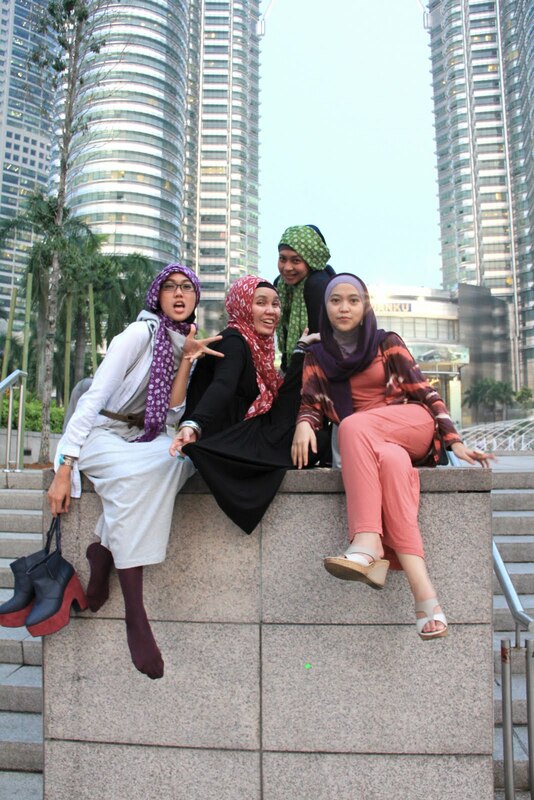 this day she wear the Choco polka scarf, she's the most awesome customer, looking hawt girl! and this lovely Malaysian lady is having a couple "tudung" try outs, take a look for her style we've made..
went to Bukit Ampang, that we had dinner with FREAKing amazing view..